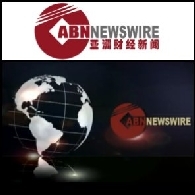 NEW YORK - Stocks fell on Wall Street as investors took some winnings off the table after the stock market&apos;s surge last week. Investors are also preparing for corporate America&apos;s seasonal parade of earnings reports, which starts Tuesday. Eurozone investor sentiment continued to climb heading into January with the Sentix index surging to -7.0. The result was well ahead of the -16.8 figure of December and forecasts for a small rise to -15.0 and marked the highest level seen since July 2011. 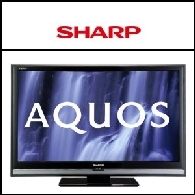 Asian Activities Report for December 20, 2011 includes: Sharp Corporation (TYO:6753) is planning to sell 90-inch LCD TVs - its largest LCD TV product in the US market in 2012; Sinopec Kantons Holdings Limited (HKG:0934) and China Shipping Development (HKG:1138) have signed an agreement to form a joint venture company in Hong Kong to build around five liquefied natural gas vessels; Mikuni Corporation (TYO:7247) says that its car parts manufacturing plant in Thailand has recovered part of its production ability, with operation recommenced on December 12th. 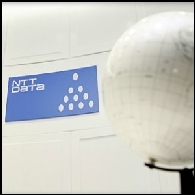 Asian Activities Report for December 19, 2011 includes: NTT Data Corporation (TYO:9613) is planning to commence a demonstration program in late January 2012 in Beijing, China; Hitachi (TYO:6501) and Founder Group (SHA:600601) have signed a cooperative agreement to provide SaaS cloud computing technology to the Chinese market; Electronics retailer Laox Co., Ltd. (TYO:8202), a subsidiary of Chinese home appliances retailer Suning (SHE:002024), will open its first store in China on 31 December 2011; China Internet Information Center (china.com.cn) and CMMB Vision Holdings Limited (HKG:0471) have signed an agreement to collaborate on multimedia services worldwide. 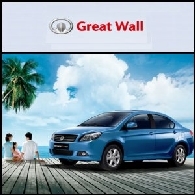 Asian Activities Report for December 7, 2011 includes: Great Wall Motors (HKG:2333) has received EU Whole Vehicle Type Approval for its Voleex C30 and Voleex C20R; Chevalier International Holdings Limited (HKG:0025) has entered into a letter of intent in relation to possible acquisitions of certain hot spring hotels in Japan; Daiichi Sankyo Co., Ltd (TYO:4568) advises that its subsidiary Ranbaxy Laboratories Ltd. (BOM:500359), India&apos;s largest pharmaceutical company, has received final approval from the U.S. Food and Drug Administration to manufacture and market Atorvastatin, a cholesterol-reducing medicine, in the US market. 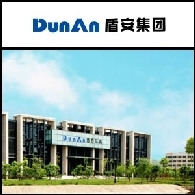 Asian Activities Report for December 6, 2011 includes: DunAn (SHE:002011) has recently won the Greatest Growth Potential Award at the 2011 Reputation List of China Listed Companies event in China; Honghua Group Limited (HKG:0196) will form a joint venture company with Gansu Huateng Petroleum Machinery Manufacturing Co., Ltd.; Seven Bank, Ltd. (JSD:8410) has received approval to list its shares on the Tokyo Stock Exchange on Monday, December 26, 2011.